Quality Lifts’ 7,000 lbs. capacity Q4P07 4-post home vehicle storage lifts are perfect for light duty commercial service or storage applications. Quality Lifts 7,000 lb. four post lift and commercial service lift were designed for environments with limited space. 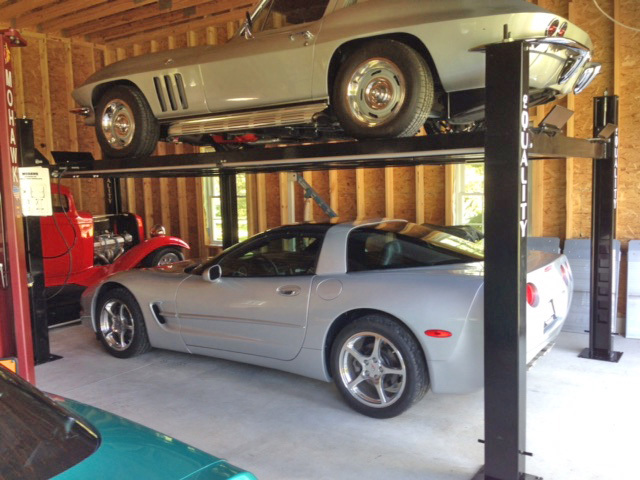 The Q4P07 4 post lift is perfect for a home garage with tight space constraints. 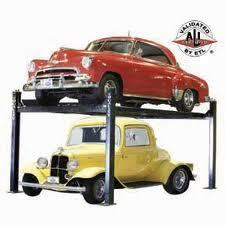 Visit the Quality site for complete specs on home storage vehicle lifts. 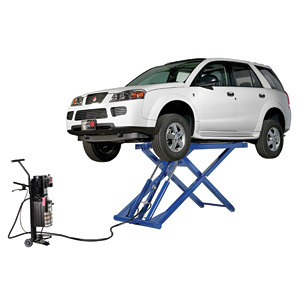 Quality Lifts’ portable mid-rise car lifts are a great way to increase the productivity in a shop. Its portable feature makes the QMR6 like having a service bay anywhere, indoors or out. The motor for the QMR6 is conveniently mounted to a heavy-duty tow dolly, making it easy to move and operate on almost any solid surface. View complete specs on the QMR6. Sliding/rotating arm design accommodates reaching pick-up points on a wider range of vehicles.